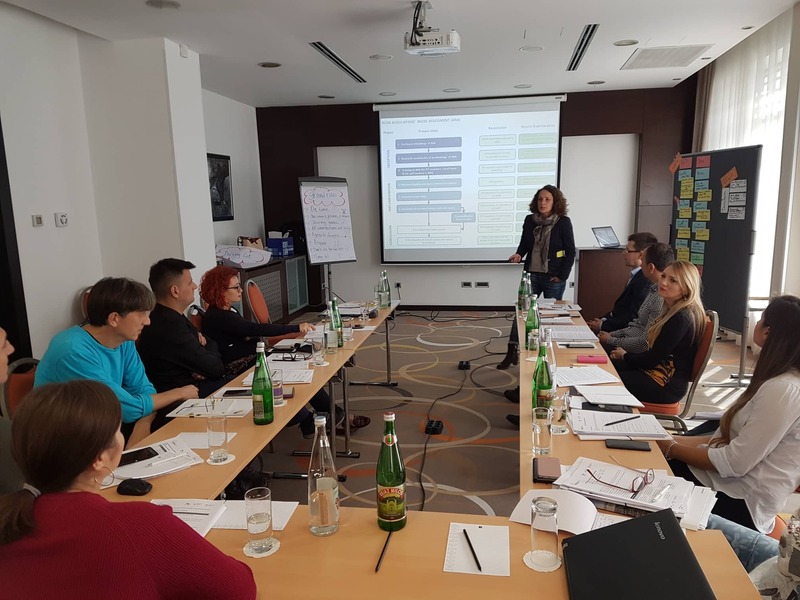 13 participants, including the Focal Points in the partner Associations of the Regional Capacity Development Network on water and sanitation services (RCDN) and members of the Project Implementation Team (PIT) were part of the training in Association Needs Assessment (ANA), organised in Belgrade, Serbia on 1 and 2 November 2018. As one of the RCDN’s objectives is to develop the capacities of the partner LGAs and APUCs, enabling them to deliver quality capacity development measures to water utilities and municipalities in a financially sustainable manner, doing a thorough needs assessment is a key step. The Association Needs Assessment will determine the current state of development of the partner Associations related to the RCDN functions, will analyse their gaps and will propose a Capacity Development plan for bridging the gaps. Thus, the training focused on the objectives of the Association Needs Assessment, the RCDN ANA methodology and tools developed and provided the practical skills needed to conduct a good ANA, including interviewing, questioning and listening skills, as well as information analysis and preparing a good assessment report. 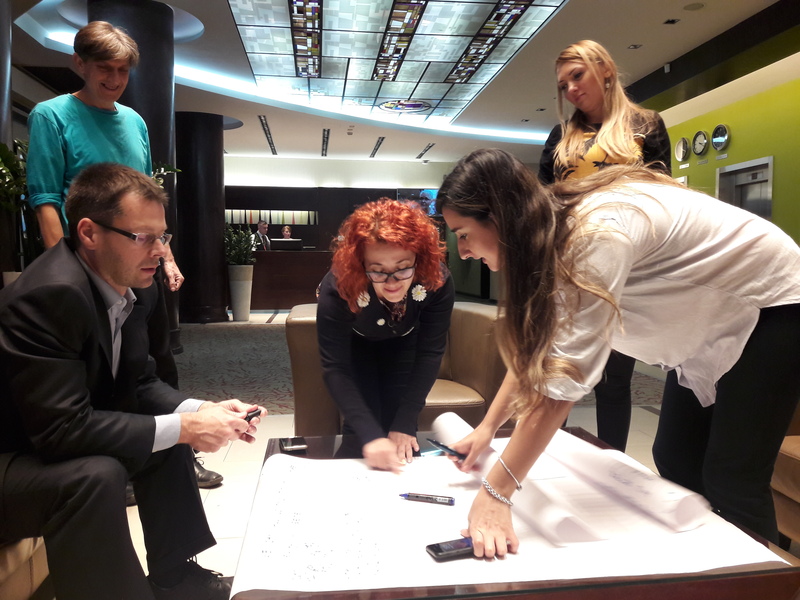 The ANA training was developed and delivered by the RCDN International Expert Alexandra Pres and the NALAS and RCDN Knowledge Manager Jelena Janevska. 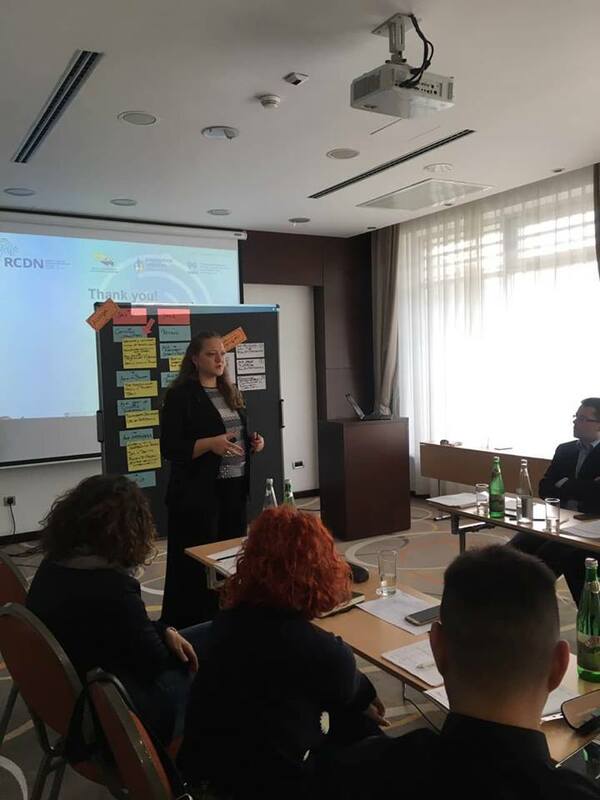 “Doing a proper organisational needs assessment enables us to design tailor-made measures to strengthen the organisational capacities of our partners”, said Ms. Janevska. 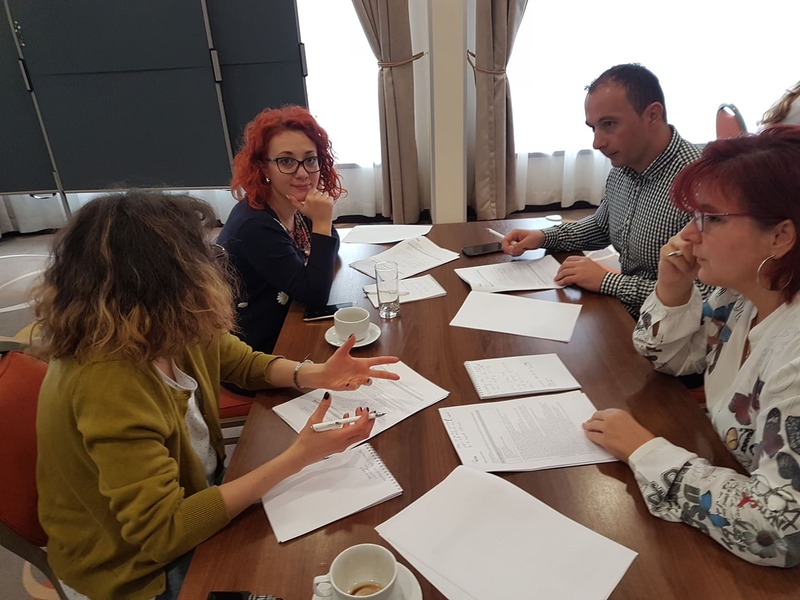 “It sets the basis for the RCDN-supported capacity development activities in the upcoming period, but also leaves a lot of room for the Associations to independently work on strengthening their capacities, as well as approach other potential donors and partners”. In the period November-December 2018 the Association Needs Assessment will be conducted in all partner LGAs and APUCs, based on which the Capacity Development plan for the next year will be developed.